Lovelyz Successfully opened Singapore Concert! Girl group Lovelyz held thier first solo concert "Lovelyz 3 in Singapore" in Singapore and opened Asian tour. Lovelyz had a meaningful time in the warm reception of local fans at the " Lovelyz 3 in Singapore" held at Jeff@BigBox at 7 p.m. on 17. 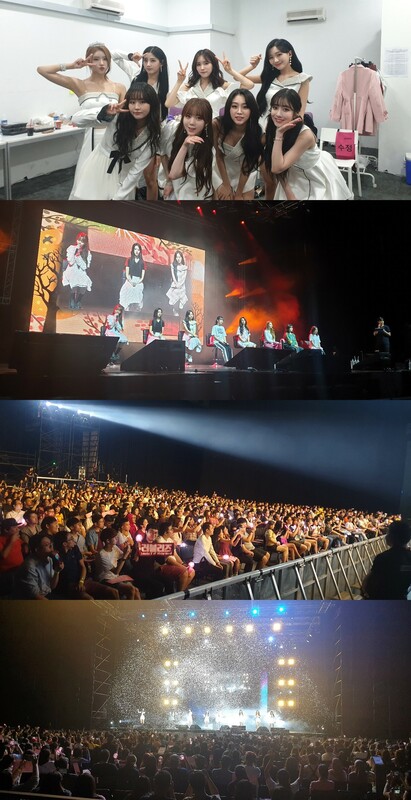 As it is the first Asian tour since their debut, countless fans gathered at the concert hall to watch Lovelyz. Starting with the latest release of "Lost N Found" they sang a full range of hit songs released so far. Lovelyz reciprocated the enthusiastic response of the hot audience with a three-hour running time and a set list of 23 songs. Local audiences also enjoyed the performance passionately, singing along with songs throughout the performance, embroiding the night of Lovelyz and Singapore. Lovelyz started their Asia tour in Singapore, will continue its Asian tour schedule, including in Hong Kong and Taiwan.